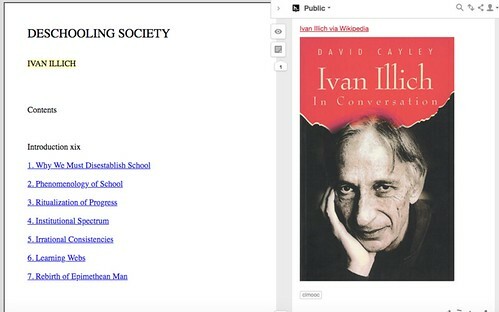 The deeper I am reading into Ivan Illich’s Deschooling Society, the more annoyed I am getting at his view of teachers, like myself, in public schools, like where I teach. His accusatory tone and finger-pointing of the problems of the world seem to fall squarely on the shoulders of teachers. In some ways, this echoes the political landscape of today, with the kind of sentiment stated by Betsy DeVos and her crew, although the recent teacher actions are visible public counters to this narrative. Which is not to say that every teacher in every classroom is doing what they need to do for all their students. There is plenty of blame to go around for why too many of our students are not getting the education they need to live the life they deserve. But Illich has all teachers in traditional settings in his crosshairs. That said, I am enjoying the ability to annotate and discuss his book in the margins via Hypothesis, as a part of a CLMOOC Pop-Up Make Activity, and others are in the mix with me. I have just finished the section section and am moving on to the third. We’re having discussions and feedback in the margins of the text, with a focus on how Illich’s views on education (published in the early 1970s) on student agency and individualized student learning might connect/disconnect with the principles underpinning Connected Learning. It’s been interesting to read this piece with that frame in mind. So far, I see nearly 75 annotations have been made. There’s room for you. Yesterday was Poem in your Pocket Day. I love this annual celebration of carrying poems around to share. All day long in school, I had a folded poem sticking up out of my shirt pocket, and during each of my writing classes, I would take it out with great fanfare and read it to my students. Words are Birds by Francisco Alarcon. Then, I gave each student a different poem, as a gift, from a collection of poems that I had downloaded last year from Poem In Your Pocket Day, and we spent part of the class just reading the poems out loud, letting the words dance in the air, sharing the writing. Finally, all of my sixth graders folded up their poems and put them in their pocket for the day. They got a kick out of that. Another student knew of the Poem in the Pocket event, from home. 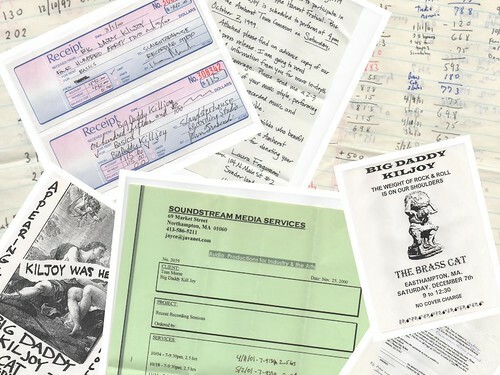 “My mom and my dad put poems in their pockets today,” he said, before folding up his own, too, which he intended to share with his parents later. History, it’s said, is told by the ones who win. Which makes me wonder with discomfort why I, an avid reader of technology, never thought about the question of “Where are all the women?” whenever I have read histories of the Internet and technology in the past. 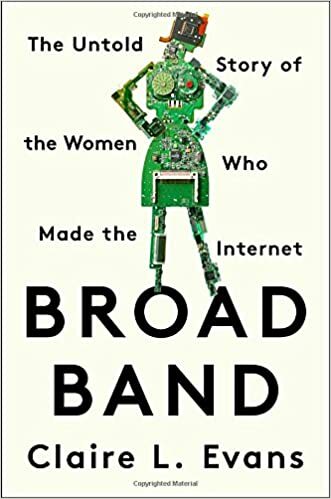 Broad Band (The Untold Story of the Women Who Made the Internet), by Claire Evans, sets the record straight, and does so with depth and storytelling. I’m glad to have discovered it. Evans, a technology reporter, dives in deep to the many women whose work from the very beginning of technology and computers (stretching back to Ada Lovelace’s work with Babbage) paved the way for the way we interact and use the Internet (and other tools) today. There were women doing the first manual card programming of mainframe computers — the women were called “computers” before a conference of men decided that “computer engineer” was a better term that would allow more recruiting of people into the field, and in doing that change of identity, they effectively shut the door on many women who did have advanced degrees in engineering because of cultural norms around who stays home with the children and who is the primary paycheck in the family. There were women at the heart of the emergence of video game design, creating games that were built around storytelling and interactive choices, eyeing ways to engage girls in a time when boys were the rage. A section here about marketing of games via gender is fascinating. There were women creating safe social networking spaces before, and then as, the World Wide Web began to take hold, years before MySpace and Facebook and Twitter. There were women who devised the protocols of the Internet data packet transfer systems. We often hear about The WELL in San Francisco, California, as one of the starting point of community networking, but in the same city, in another building, there was a collective of women with their own mainframe computer, programming it to gather and share resources about social services for families and organizations, as well a place to make connections over modems. Just like the WELL, in some aspects, but RESOURCE ONE was more attuned to the common good of the world. And mostly forgotten. I’d never heard of it. And on and on it goes, and I appreciate that Evans researched and wrote this kind of book, as a sort of counter-balance to the male narrative of computers and technology. I am appreciative of the design capabilities of these women, and their vision for a more connected and more positive world with technology as another means to an end. I know numbers are not everything. But some events still require a little celebration, right? 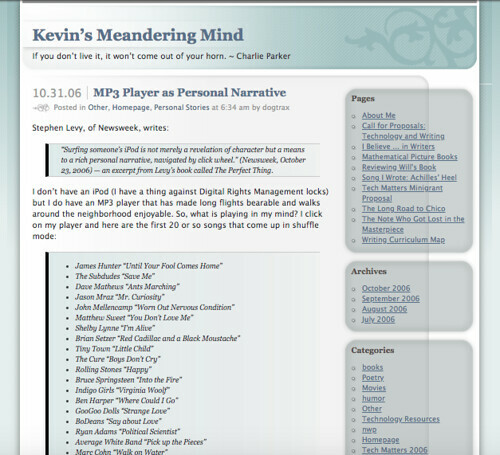 Yesterday, during the Slice of Life, Chris posted a comment about my interaction with a student, and her comment became the 10,000th comment at Kevin’s Meandering Mind. It’s funny because I kept checking in all morning to see if I would reach 10,000 during the morning, after posting my Slice of Life. 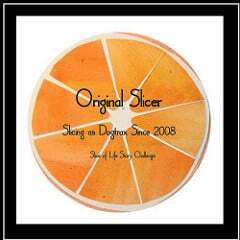 I knew it would happen because the Slice of Life group is one that regularly reads and comments on Tuesday mornings. I just didn’t know who it would be or when it would be. Thank you, Chris, for being the one. I’m still staggered by that number, though. Ten thousand comments. That’s … like, a whole city of comments. A book could be made of the comments here. Pretty cool to consider. 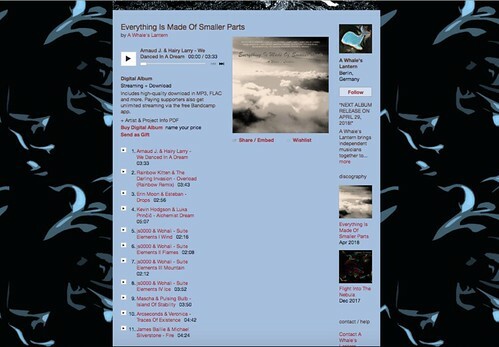 I went into the Wayback Machine to look for my blog in 2006. I am grateful that people still bother to read blogs (now and then, but not as often as it once was, alas) and that they even bother to read mine, and then, take the time to leave comments. It makes blogging feel more like a public act of writing, as opposed to a private notebook posted for others to look at. I wish I were better at using comments to start larger conversations. Certainly, social media platforms have overtaken blogging in many ways. People (and not just the young kids) are more apt to use Facebook, Twitter, Instagram, Snapchat, Tumblr (sort of a blog), and more, and the decline of RSS readers (I still use one) as a way to gather aggregated feeds from blogging writers and educators is less a reading experience for many. Blogging isn’t dead, not by a long shot, but it has faded a bit into the busy background of the social media landscape. So, if you have left a comment here sometime in the last 12 years, thank you. See you at 20,000 comments in about 12 more years … right? Until the daily prompts end, I’ll continue to try to arrive at something poetic at a slant (meaning, I try not to address the prompt straight on but rather, use the prompt for something different — tilt your head to see, that sort of thing) … and I will continue to gather and curate my small pieces into short video collections. Right now, my biggest hurdle is trying to name these curated videos.